It runs from December 13 to December 25. 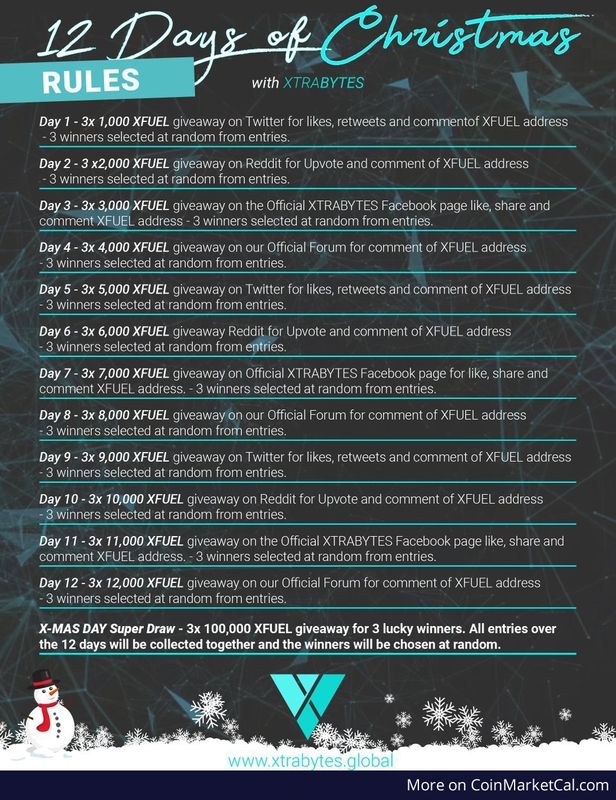 Last day: 3x 100,000 XFUEL giveaway for 3 lucky winners. All entries over the 12 days will be colle.